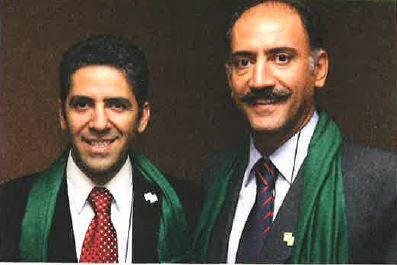 Doctors Arash Alaei and Kamiar Alaei, two internationally-renowned HIV/AIDS physicians and brothers, were arrested in June 2008 by Iranian authorities. After six months of detention without charges or trial in Tehran’s infamous Evin Prison, the brothers were tried as conspirators working with an “enemy government” to overthrow the government of Iran, and on unspecified other charges which neither they nor their lawyer were allowed to know, see the evidence of, or address. They were convicted of being in “communications with an enemy government” and “seeking to overthrow the Iranian government under article 508 of Iran’s Islamic Penal Code”; Kamiar was sentenced to three years in prison and Arash to six. The Alaei brothers: Arash and Kamiar. The Alaeis’ crime: traveling the world and liaising with colleagues globally to find solutions to the HIV/AIDS pandemic. Their travel to international AIDS conferences was used as a basis for the charges against them – a dangerous conflation of public health diplomacy with treason that harms Iran’s ability to be a worldwide medical leader and protect its people from disease and death. From the beginning of the Alaeis’ unlawful imprisonment, PHR worked tirelessly, and, ultimately, successfully, to secure the doctors’ freedom, launching the Iran, Free the Docs campaign that mobilized a global movement of medical professionals, health organizations, and human rights advocates. After serving two of the three years of his sentence, Kamiar was released from Evin prison in the fall of 2010 and joined forces with PHR to advocate for his brother’s release. Following intense pressure, including by medical associations and global AIDS organizations, and PHR’s Global Day of Action to petition Iranian embassies and other representatives for his freedom, Arash was released in August 2011.